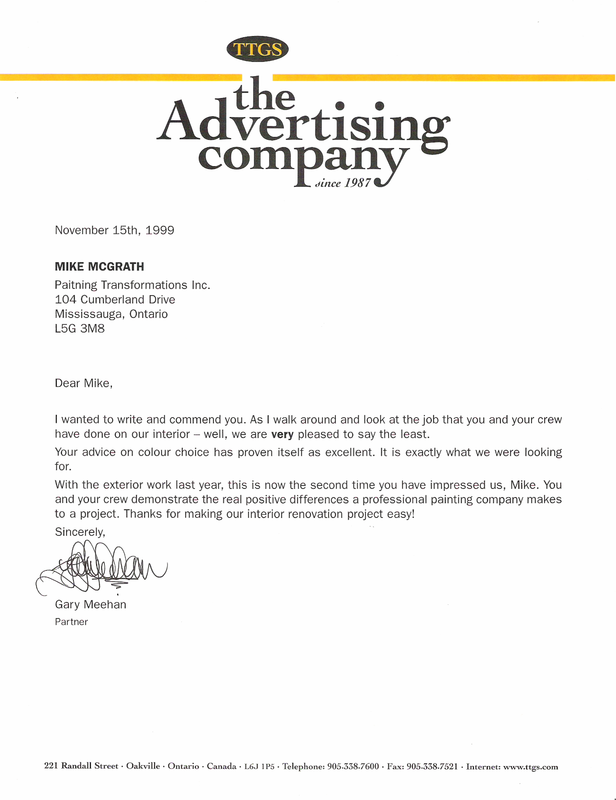 "Michael McGrath of Painting Transformations has been working for us for the past several years. In that time he has completed the following projects: 393 University Ave (provincial court rooms), 7765 Hurontario St. (stairwell mod. provincial court building), 880 Bay St. (queens park complex), 77 Grenville St. (provincial government archives and storage building). 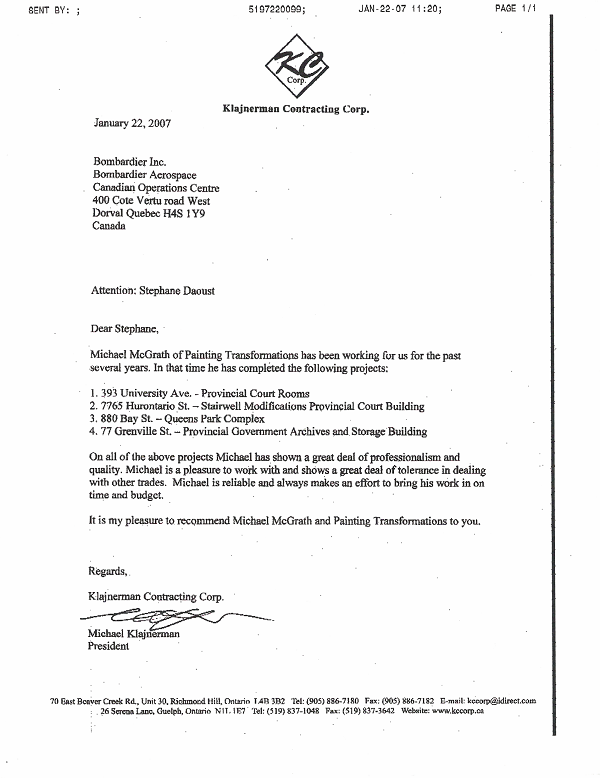 All of the above projects Michael has shown a great deal of professionalism and quality. Michael is a pleasure to work with and shows a great deal of tolerance in dealing with other trades. 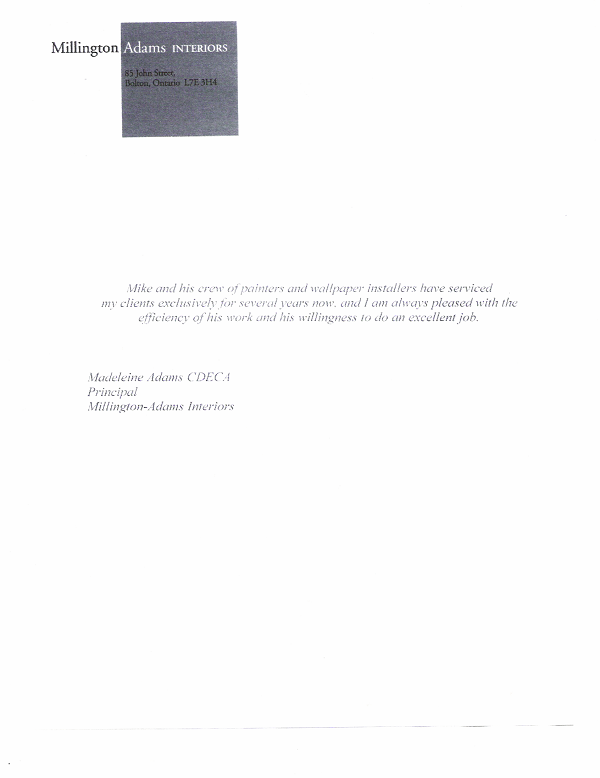 Michael is reliable and always makes an effort to bring his work in on time and budget. 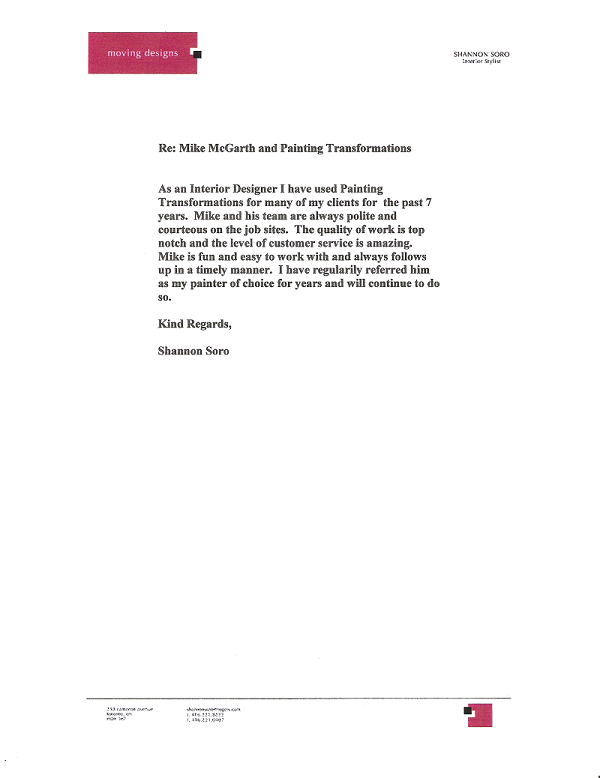 It is my pleasure to recommend Michael McGrath and Painting Transformations to you." 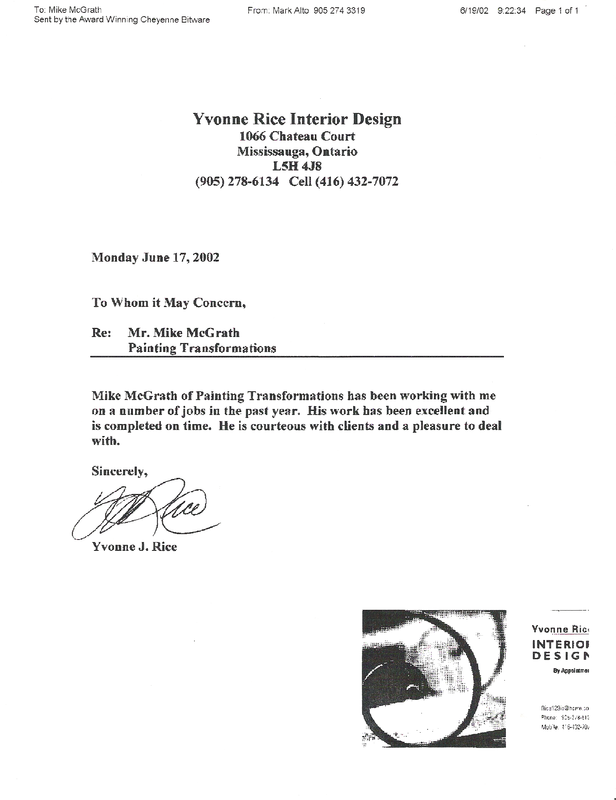 "As an interior designer I have used Painting Transformations for many of my clients for the past 7 years. Mike and his team are always polite and courteous on the job sites. 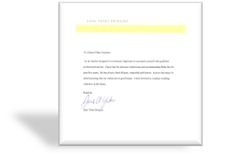 The quality of work is top notch and the level of customer service is amazing. 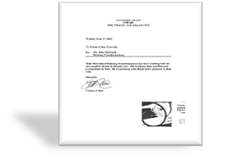 Mike is fun and easy to work with and always follows up in a timely manner. I have regularily referred him as my painter of choice for years and will continue to do so." 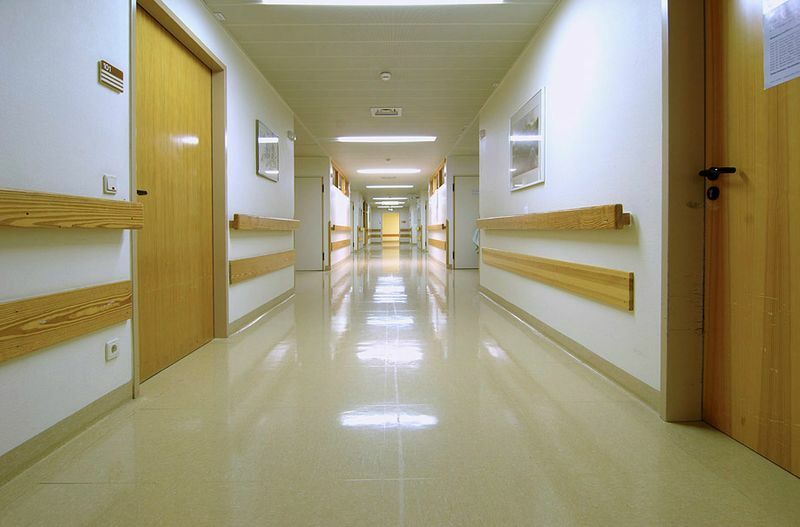 "Painting Transformations has been a painting subcontractor for Weenen General Contracting for the past 3 years. We find their workmanship to be above average, and them to highly reliable. We would not hesitate to recommend them to anyone. Please do not hesitate to contact me should you have any further questions." 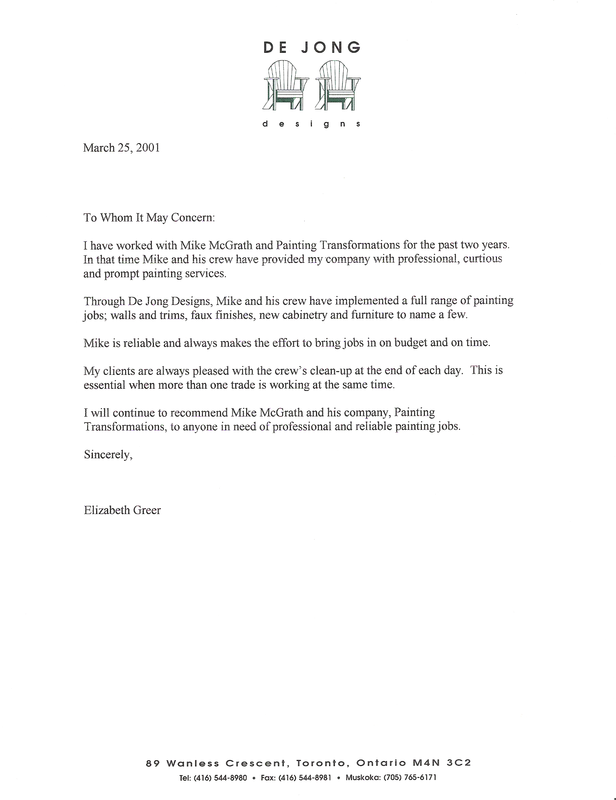 "I have worked with Mike McGrath and Painting Transformations for the past two years. 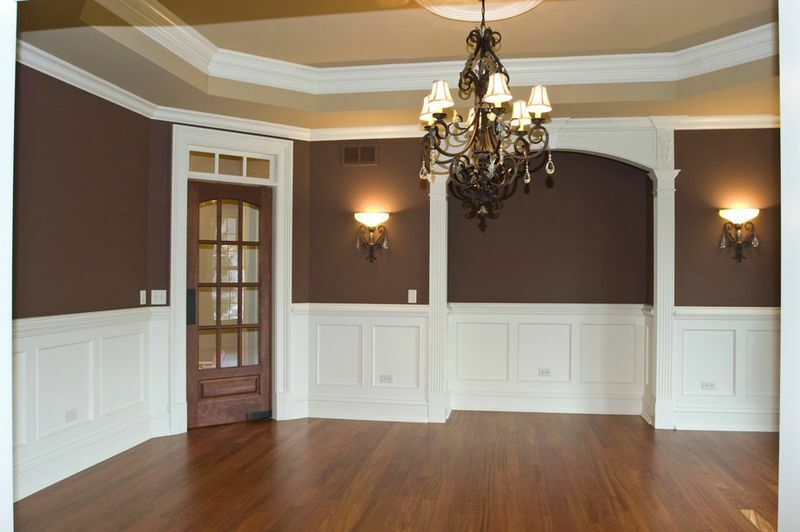 In that time Mike and his crew have provided my company with professional, curtious and prompt painting services. Through De Jong Designs, Mike and his crew have implemented a full range of painting jobs; walls and trims; faux finishes; new cabinetry and furniture to name a few. 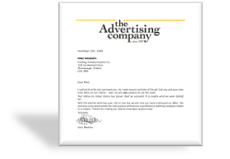 Mike is reliable and always makes the effort to bring jobs in on budget and on time." 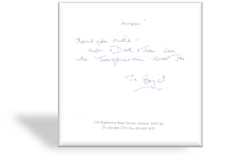 "Just a quick note to say thank you for a terrific job. 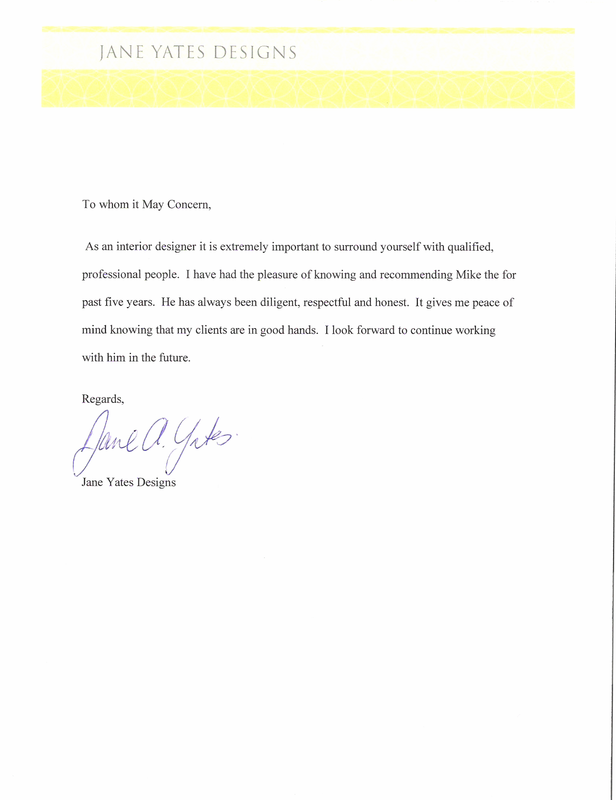 My clients are extremely happy with your work and more importantly your people. 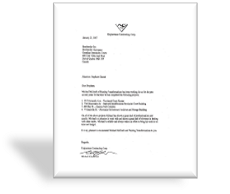 They were always curteous and polite while on site and their attention to detail and my clients sometimes "finicky" requests is greatly appreciated! I am sure we will work together again and I look forward to it. 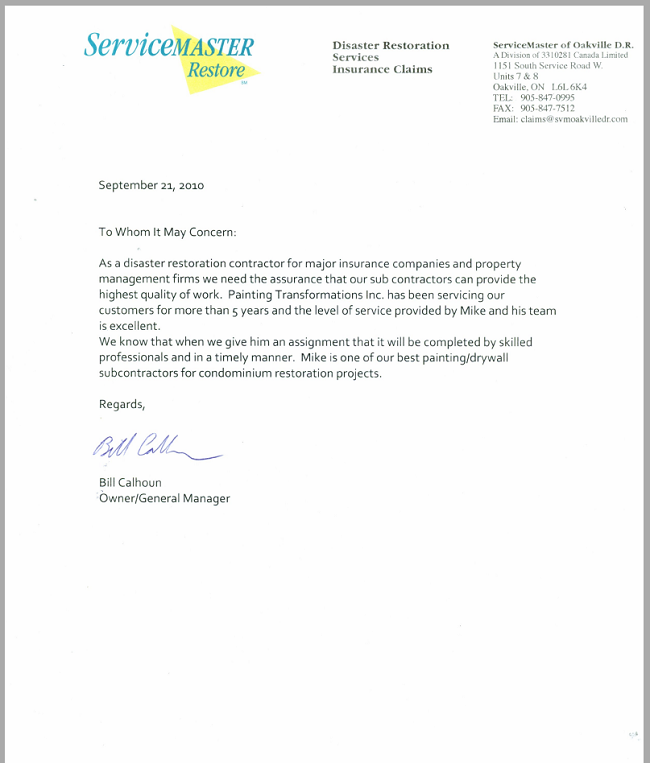 Mike, please tell your employees thank you and see you again." 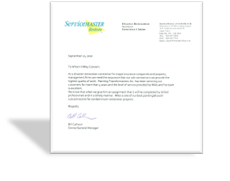 "I wanted to write and commend you. As I walk around and look at the job that you and your crew have done on our interior - well, we are very pleased to say the least. Your advice on colour choice has proven itself as excellent. It is exactly what we were looking for. With the exterior work last year, this is now the second time you have impressed us, Mike. 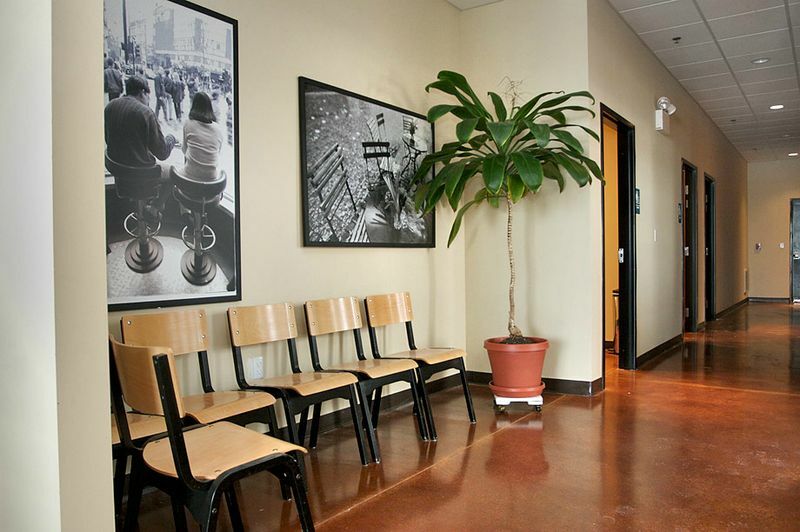 You and your crew demonstrate the real positive differences a professional painting company makes to a project. Thanks for making our interior renovation project easy!" 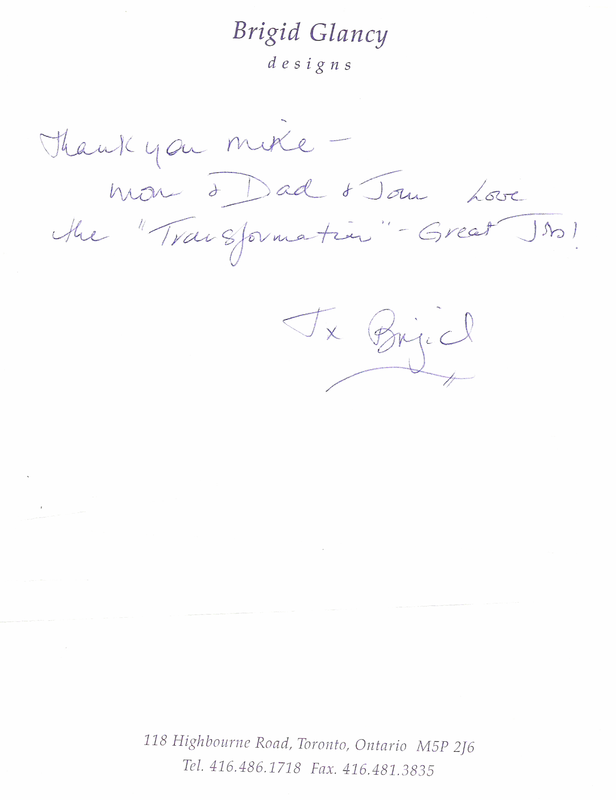 "Thank you Mike - Mom & Dad & John Love the "Transformation" - Great Job!" "This letter is in reference to Painting Transformations. 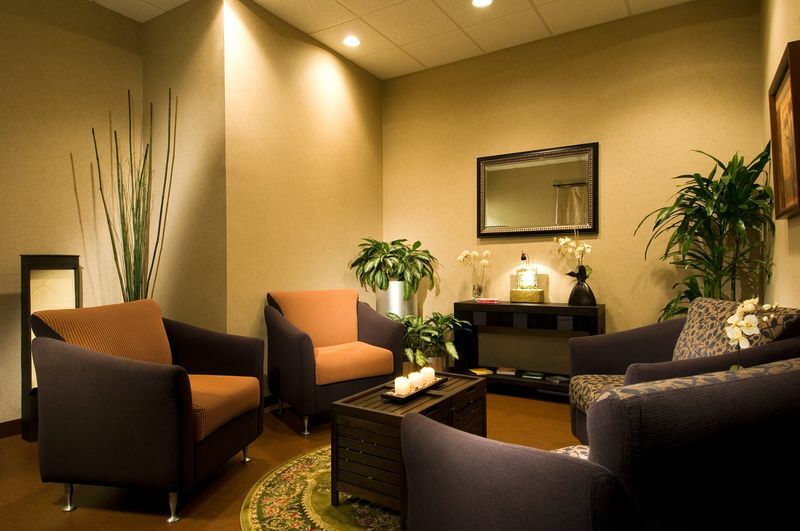 A company we have used regularly in building as well as renovating high end residential homes. 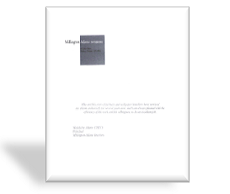 Over the years we have found the work to be complimentary to the quality and detail not only expected by us, but by our clients and Architects as well. Custom colors, color matching, and detail challenges have always been met in timeframes critical to our process and production. Mike himself is personable, understands the need and opportunity in servicing our clients and Operation team well. 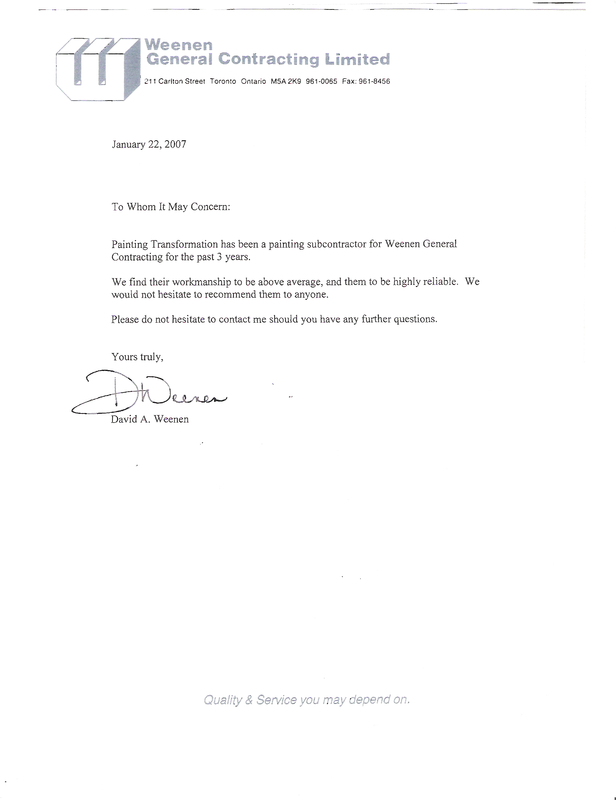 His company is well organized, certainly a reflection of Mike. Mike and his crew are able to accomplish our common goals while being a part of the on site team. 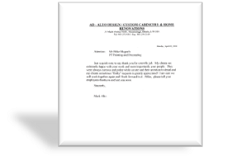 Mike is neat and courteous with both of these attributes being delivered by his crew."